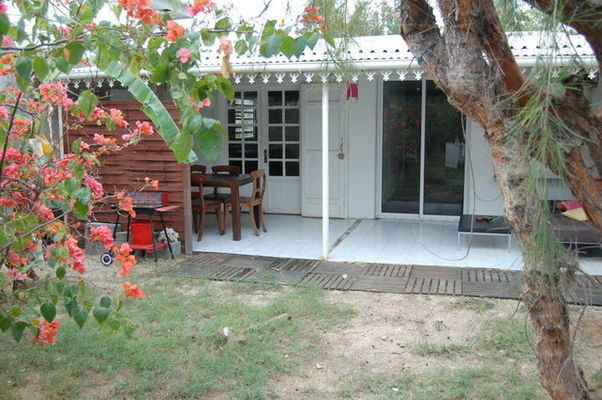 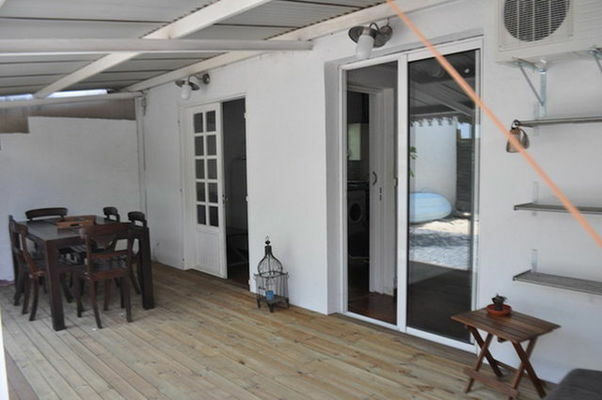 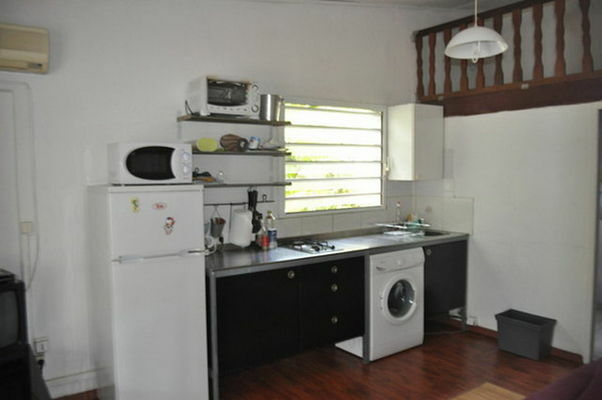 Small air-conditioned maisonette in La Saline-les-Bains, with 15-m² terrace giving on to a 100- m² garden, set in a quiet neighbourhood 3 or 4 minutes walk from the lagoon. 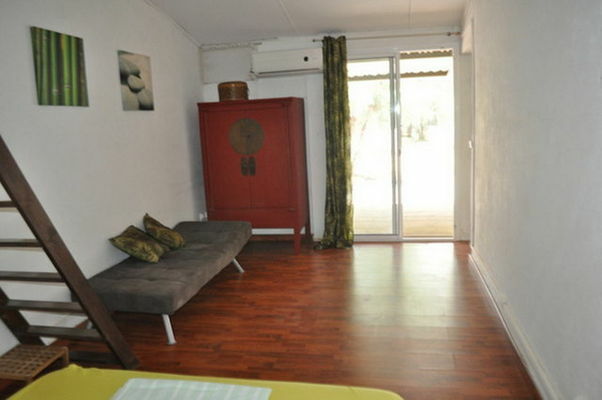 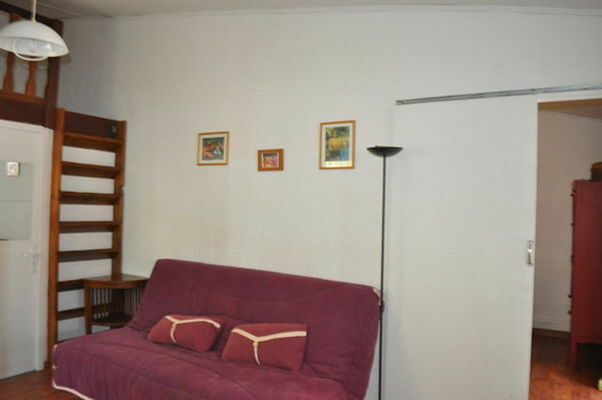 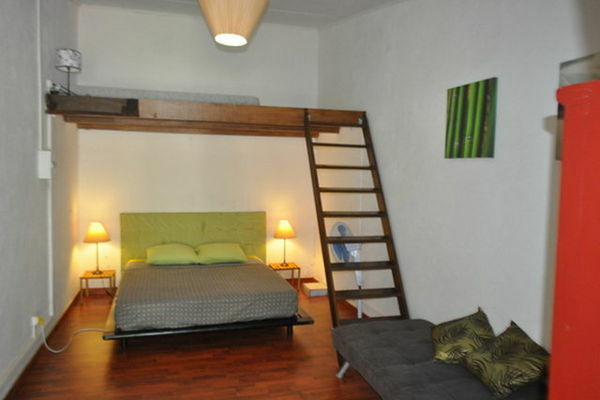 21-m² air-conditioned bedroom, small mezzanine living room with American kitchen and small additional mezzanine. The price includes the lending of material : kayak, booster seat, cooler and hte house cleaner once a week.